Diversified Spring Technologies, Inc. - Compression Springs -compression springs, cable springs, extension springs, torsion/specialty springs, wireforms, rings and washers, fourslide products, assemblies and stampings, prototypes. 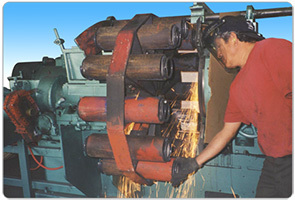 Compression springs are helical springs, wound to provide resistance to compression forces. The shapes vary from conical, barrel, double conical, hourglass, and to your own specially designed configurations. Compression springs can be formed from carbon and stainless steel to exotic metals such as inconel, elgiloy, cobalt, monel, and many more. Wire can be round, square, or rectangular. 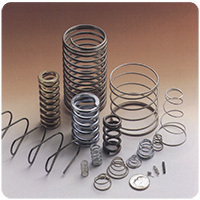 Diversified Spring Technologies specializes in forming compression springs from various metals, with the capability to coil wire sizes ranging from .006” to .313”. However, in our Short-Run Department we can go over .500” wire diameter. Diversified Spring Technologies has the machinery and skilled technicians to provide these options, plus more, for your desired commercial and critical compression springs.